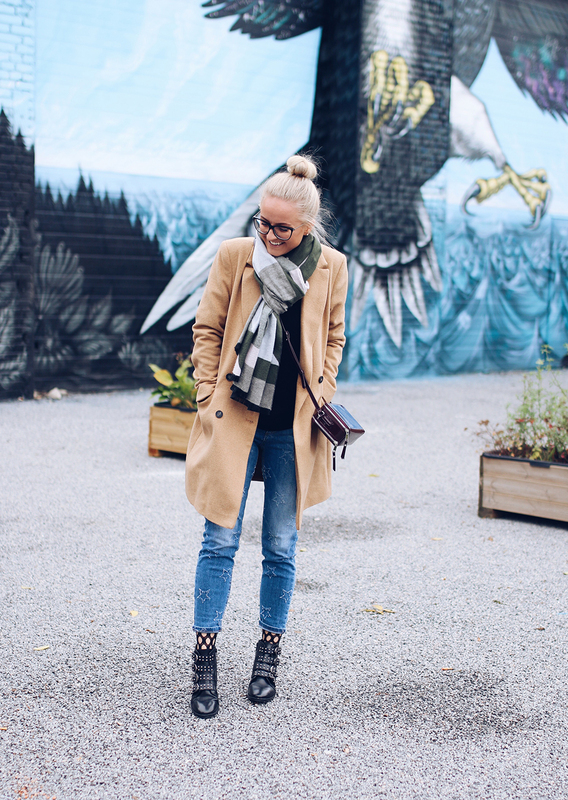 This is a one super casual everyday look - blue jeans, black knit, camel coat. Very simple and comfortable pieces which together look pretty chic without much effort, don't you think? 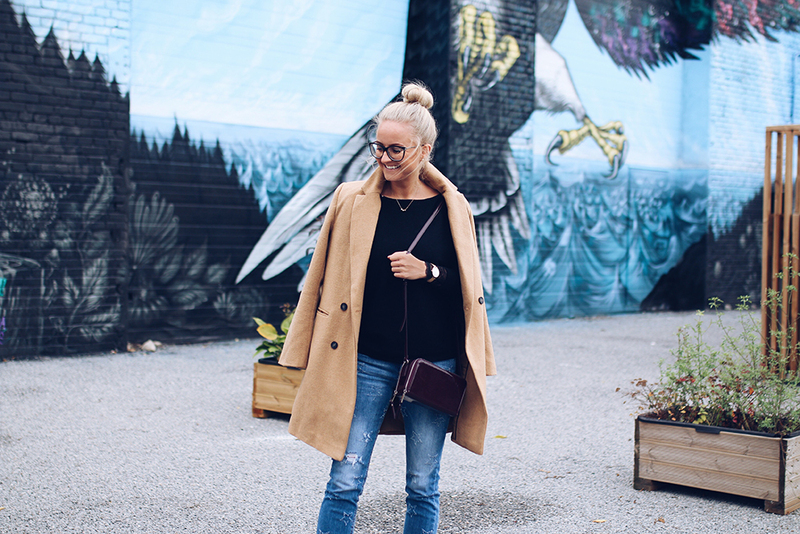 To give a little pop of colour I added a burgundy coloured bag that makes a comeback every autumn/winter season. 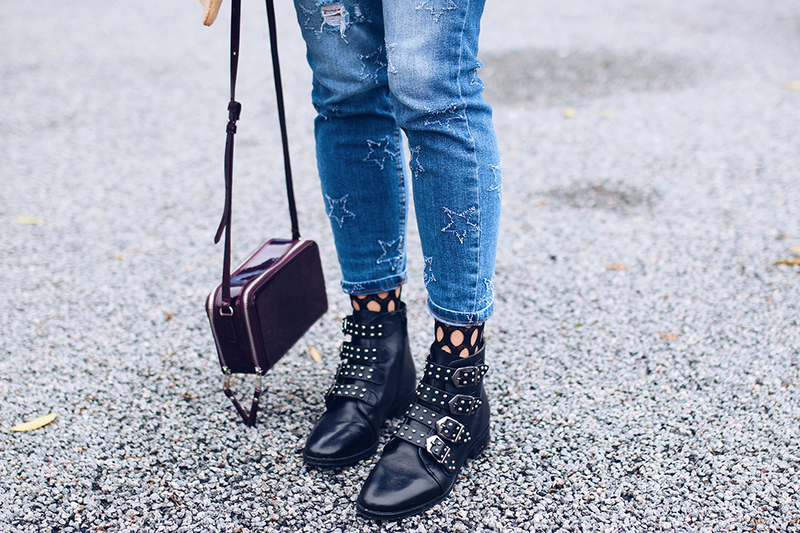 Since I'm a huge denim lover you can imagine how over the moon excited I am about these jeans!